My recent project was the setup for a refurbished Dell Latitude laptop that I purchased online. 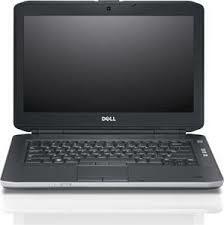 Latitudes are business oriented laptops that Dell sells and leases to a variety of business customers. Many large enterprise level companies lease their machines and return them to Dell periodically as they upgrade to newer hardware. This means that a few times throughout the year Dell amasses a stock pile of old machines that they then rebuild and sell at significant discount prices. Even better, if you browse discount sites such as DealNews and TechBargains they will detail how to get a discount on top the already low refurbished price. Dell has these discounted sales periodically, at the beginning of the year in January or in the middle of the Summer, such as July. If you are going to buy a refurbished laptop, there are some risks. These laptops are not brand new, they have seen some usage, and so if you want a perfect looking laptop you are not going to find one. Your best bet is a Grade A model, which will be priced a little higher. The other factor is that these machines only come with a very short warranty. Three months or one hundred days type warranty will apply. You can purchase an extended warranty from the Dell Refurbish site at the time of purchase, but note that you will be adding to the total price of the machine. You will want to consider this extended warranty price and what it is worth to you personally. In my case, this was a secondary machine that I am not going to worry too much about, so no extended warranty for me. These are older model machines as well and not the latest and greatest technology. Business laptops are not gaming machines either, so if your main emphasis is gaming, consider looking for an Alienware type models instead of Latitudes. Overall my best advice is to wait for the discount from the DealNews.com and then shop for something that you will like and that will cost you about forty-five percent of a new laptop. Once you get higher than fifty percent, I usually think you might as well save up for a new machine that you really want. Given all this, lets get started on setting up the laptop. There were two types of e5430 models, there is an Intel-Vpro model and then there is the non-Vpro model. This one is the latter. The hard drive inside the laptop was a Western Digital mechanical hard drive and it was dated July 19th, 2013. The laptop like the hard drive is from the the same year as well, in other words I bought a three year old laptop. The installed operating system is Windows 7 Professional (32-bit). There were no installation disks for Windows included, as the hard drive includes a recovery image. There is nothing wrong with the laptop at this point and it is perfectly usable out of the box. However, I love hardware upgrades and so I couldn’t help myself from adding some things. The best possible upgrade is an SSD hard drive. SSD drives are now much more affordable, and so you can take your pick from a variety of SSD drives out on the market right now. My personal preference is Crucial/Micron and Samsung, but I have purchased other brands such as PNY if they were at a good price. For this project I did purchase the Crucial MX300 750GB – CT750MX300SSD1. I did consider the 525GB model as well, but unfortunately it was out of stock at the time. This SSD drive is a 7mm height drive and a spacer is included so that it fits as a 9.5mm drive. I did utilize the spacer when I switched out the drives. Next was the memory. In current terms 4GB is not nearly adequate, so I opted for maxing out the memory. Most people might consider upgrading to 8GB memory (2 x 4GB DDR3 modules), since this is a very cheap upgrade to make. The e5430 does in fact support 2 x 8GB modules, for a total of 16GB memory! The easy way to purchase memory for this machine is to visit Crucial and buy direct from them. They will guarantee that the memory will work and are only slightly more expensive than buying from online stores like Newegg.com. Both the hard drive swap and the memory upgrades are very easy to do. You will need a philips #0 screwdriver and for the lower memory module, I found a plastic spudger handy for pushing down the memory SIMM into place. Note before doing any hardware upgrades, consider downloading all the required software in the following Software Installation section first if you do not have another Windows machine that you can use to download stated software. Look through Device Manager in Windows and note the type of hardware you have, such as the Network Card, Wi-fi Card, etc. My particular laptop did not have a finger print sensor or Bluetooth. In the Software Installation part we will need to download multiple software, so it is best to use a second machine or read this entire post before doing any software steps. I must admit that the hardest thing for developers to do is to write good error messages. When it comes down to it, it is really hard to please all of the people, all of the time, and developers are only human and so you end up with epic fail error messages. However, I ran into this error message today on a certain telecom company’s website and it just made me laugh. So when is a browser unsupported? When it is a latest version of Internet Explorer! I upgraded my laptop to Internet Explorer 11, since it recently became available for Windows 7 users. Thank you Microsoft for still trying to do it your way, but your street cred is not what it use to be, cause not everyone is supporting your latest browser.